Are you looking forward to designing a ticket flyer for your boat party? Look no further than our Boat Party Ticket Template freebie. This customizable freebie ­ Boat Party Ticket flyer, has been designed specifically by professionals for your esteemed guests who need to flash their ticket invitations at the checkpoint. This Boat Party Ticket freebie is a beautifully designed ticket flyer and it comes with 5.5 x 2” size. It is compatible with Adobe Photoshop and comes in a high resolution of 300 dpi. It contains an attractive image of people partying on a boat in the sea. Furthermore, this freebie is print­ready with CMYK color mode and provides an option of using different font­types as per your liking. 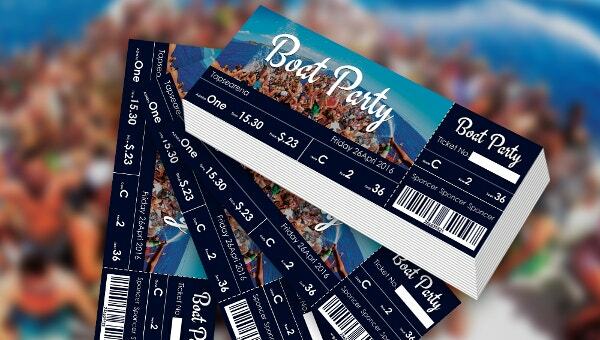 Using our Boat Party Ticket flyer freebie, you will easily be able to design an invite and at the same time, have the assurance that only guests with tickets are allowed into the premises. 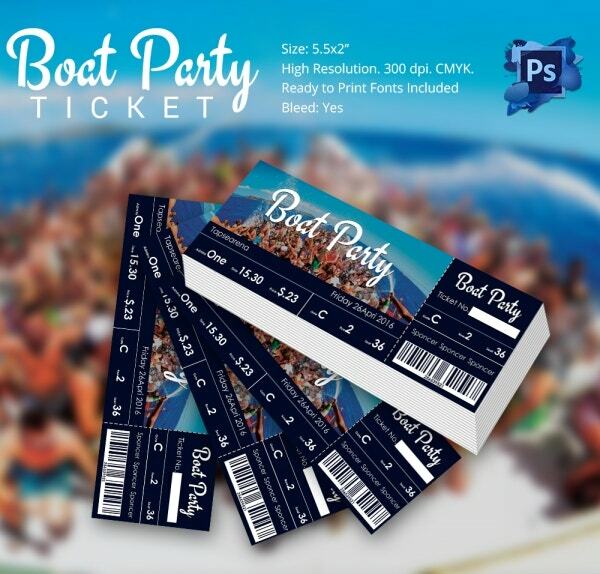 Go grab this Boat Party Free Ticket template freebie and get your wishlist on board. Let them have a cruise party experience of a lifetime.